Please join us at a celebration of Paula's life on Sunday, April 14 (2 p.m. - 4 p.m.) at David and Annette Schultz's home. Please contact a family member for address if needed. 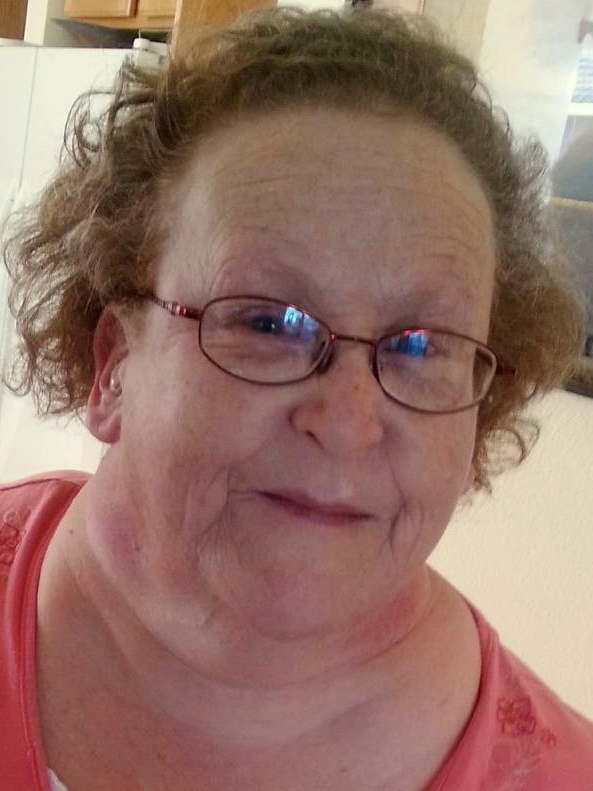 Paula Kay Smith passed away at her Lynden home on March 28, she was 63 years old. Born on March 21, 1956 to parents Babe and Louie Smith, Paula made a grand entrance into the world as she was welcomed with several complications. She joined big sisters, Kim, Berta and Annette. As a young child Paula contracted polio and spent much of her childhood in and out of hospitals. In spite of her medical and physical conditions she grew into a remarkable example of resilience and perseverance. As a child Paula and her family moved quite often and made homes in several states including Montana, New Mexico, Arizona until finally settling in Bellingham in 1969. After moving to Bellingham Paula attended the Redwood School and really developed into a social person. After school she worked at Watsi and Kulshan Supported Services for many years. In 2013 Paula and her sister Berta moved to Lynden. Paula had a quick wit and was known for snappy comebacks and one-liners. Her facial expressions said what she didn't - eye rolls were a specialty of hers. She enjoyed "oldies" music and could often be found with music playing. Paula also loved old movies and TV shows and could tell you about actors, their various roles and much more. Animals were a lifelong love of hers and she never forgot a pet that she may have met in life. Paula enjoyed arts and crafts and loved to garden. She created incredibly creative scrapbooks, painted and was coloring until the last day of her life. Paula not only loved to create, but also loved to share her creations with others and her drawings can be found in the homes of many family members and friends. Planting seeds, watering, and watching plants grow was magic to her and a constant spring and summer activity. Paula was preceded in death by her parents, Louis and Babe, and a baby sister, Yvonne. Paula is survived by sisters, Kim Yarnell of Enumclaw, Berta Smith of Lynden, and Annette Schultz of Bellingham; brother-in-law David Schultz; nieces and nephews, Darlene (Jim) Kline, John Minaker, Troy Yarnell, Kelly (Shelly) Yarnell, Jerrie (Troy) Luginbill, Skye Yarnell, Alex (Aziza) Schultz and DeAnne (Josh) York; great nieces and nephews, Jordan (Ryan) Pruden, Archer Luginbill, Olivia Kline, Skylar, Alexis and Ty Yarnell, Nicholas Minaker, Penelope and Frankie York and great-great nephew Finn. Paula will be dearly missed by her family and friends. Her family would like to extend a huge thank you to those caregivers that took care of Paula in the final chapter of her life. In lieu of flowers a memorial donation can be made to Whatcom Hospice. Our sympathy to Paula's family, she was a joy to know.